OPPOSITION United Party for National Development has adopted Jerry Bwalya as its candidate for the Bahati parliamentary by-election slated for 11th April 2019 but has remained mute over the Roan seat. And ruling Patriotic Front on Monday announced the adoption of Joel Chibuye and Charles Chalwe for Roan and Bahati constituencies respectively. 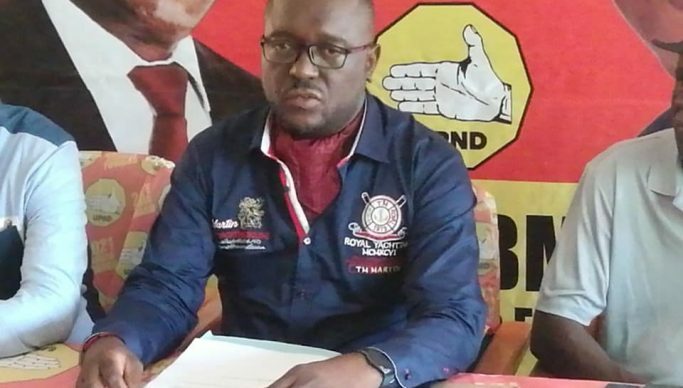 During a press briefing in Lusaka yesterday, UPND elections chairperson Garry Nkombo said the national management committee consulted widely by engaging party structures before announcing the final list of adopted candidates in the upcoming elections. Nkombo said Bwalya was a local businessman in Mansa whom the structures had preferred over other applicants. The by-election in Bahati follows the expulsion of Harry Kalaba who is now opposition Democratic Party leader. Nkombo said the party has withheld announcing its candidate for Roan Constituency. “The party is still deliberating with NDC, our counterparts and we shall inform the nation once a consensus is reached, the party has sought indulgence with the two UPND aspiring candidates for Roan constituency,” said Nkombo. And Nkombo announced the adoption of Beatrice Moonga Kayuni as candidate for the Kafue District Council chairperson. And Moses Katalala Kumwenda for Muchinga ward. The Local government elections were necessitated by resignations and deaths. The Electoral Commission of Zambia has set April 11, 2019 for Bahati, Roan constituencies and seven local government elections.